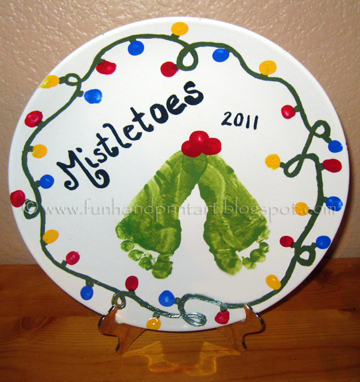 Simple & Cheap- Make this fun, decorative, Christmas plate using a child’s feet! Cute to give as a gift too. I am doing this tomorrow for my Sunday school class! so excited!